Clinic Synopsis: Keeping Kids Focused: Brain Breaks for the Music Classrooms provides over 40 researched-based activities to help relax & re-focus students during rehearsals. These short activities are easy to use in instrumental music classrooms and provide solutions to the challenge of re-capturing students' wandering attention. In this session, you will gain valuable resources to use immediately in your classes. Be ready to participate in the activities! Clinician Biographical Information Kim Wilson-Paugh has been teaching music in Jefferson County Public Schools in Colorado since 2000. 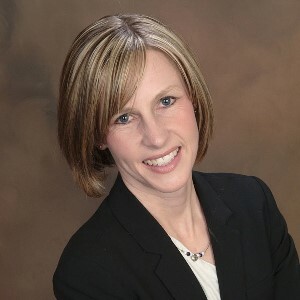 She is currently the instrumental director at Drake Middle School in Arvada, Colorado where she has directed band and orchestra classes since fall of 2002. She received her Bachelors of Music Education from Taylor University in Upland, Indiana in 1999. In 2008, she completed her Masters of Arts in Educational Psychology with a concentration in research and evaluation methods. While working on her masters, she was inspired to research brain and gender to gather more strategies to help her students succeed. Kim has been the leader of the Brain and Gender Committee at Drake for the past five years. In that time, she delivered multiple presentations on the subject to her school and has conducted brain break clinics for music teachers at the Colorado Bandmasters Association Conference and the Colorado Music Educators Association Conference.